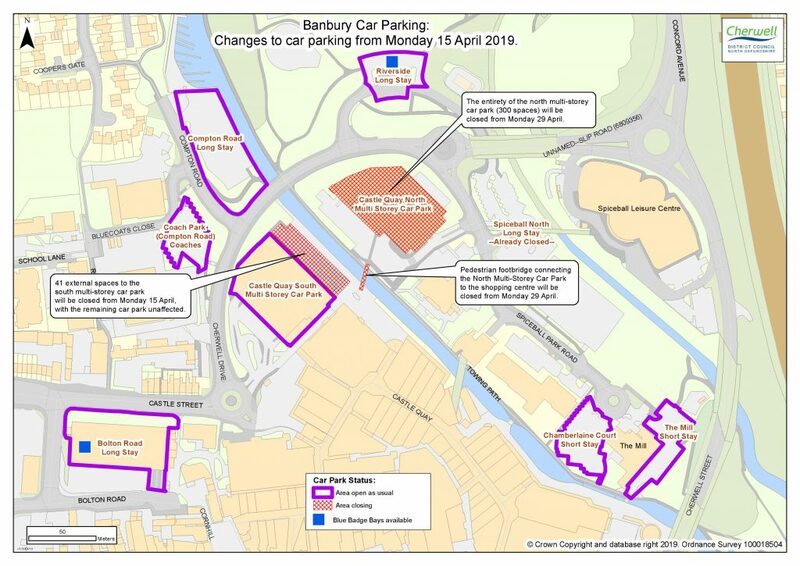 From Monday 15th April 2019, 41 external spaces to the south multi-storey car park will begin to close, with the remaining car park unaffected. This is to allow archaeological investigations to take place in advance of works beginning on the Castle Quay 2 development. From Monday 29th April 2019, the entirety of the north multi-storey car park (300 spaces) will be closed. Members of the public will no longer have access to the site from this date, the pedestrian footbridge connecting the north multi-storey car park to the shopping centre will also be closed.